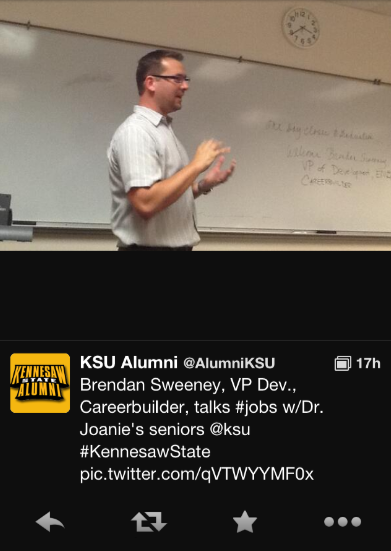 Brendan Sweeney has visited the KSU 4401: Senior Seminar classes since April 10th, 2012 to lead a seminar on strategizing your career after college. 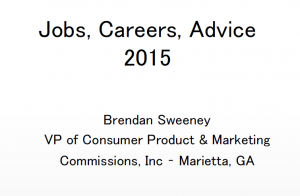 He shared his sage career search advice framed by his how career story. 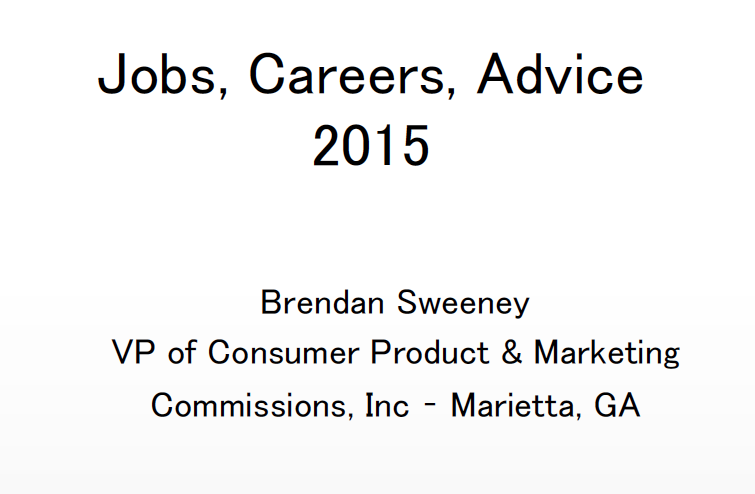 He developed a powerfully insightful slide show with a professional view of the career search process from the professional side of the street. Check out KSU Alumni Article about Brendan Sweeney entitled Building Connections, it includes his Guest Networking in KSU 4401: Senior Seminar – Fall 2013.